Conference registration includes all education sessions, a two-day exhibitor fair, a college fair, opening reception, closing dinner on Wednesday, and breakfast, lunch and snacks on Tuesday, June 18, and Wednesday, June 19. The conference fee does not include: housing, the Professional Development Institute or conference tours. You must register for these items separately from your conference registration. Please note, conference tours are open to active HECA members only. Not a member yet? 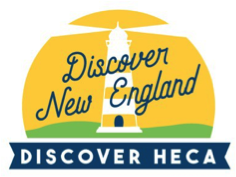 Join HECA and save! HECA Members: to receive the member discount, first you must renew your HECA membership, then register for the conference. You must be logged into your HECA member account in order to receive the discount. Please log into your account prior to registering. The system will not recognize you as a member otherwise and you will be charged the non-member rate. Cancellation requests must be emailed to treasurer@hecaonline.org. Conference registrations are not transferable at any time.